An excellent release from Voiceprint Records (OW118CD). An 8 page booklet with photographs of John and Danny taken during their 1986 Tour from which this recording is taken and also a few liner notes. Very nicely presented and a very good concert. John and Danny are in great form with some tremendous musicianship and John's vocals are brilliant. Some superb bowing from Danny on Beverley and a rousing version of I'd Rather Be The Devil. 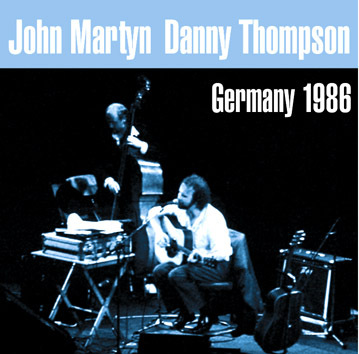 A valuable addition to your John Martyn collection whether you were first introduced to John's music in the 1970s or are a more recent fan.